We have all had our share of headaches as we have strives to find a perfect life partner match in a significant other or spouse. Whether we have gotten a taste of the bar scene, met potential romantic interests through friends or have even tried to find quality people in a venue such as a park, school, college or university, many of us out there still feel bereft. When things we desire in life happen to us, we believe that luck was merely in our corner, or maybe the numbers game we were playing finally paid off as we bides our time. But how often do we believe that we strongly influenced the outcome we were striving for? Let’s put concepts of fate, determinism, and luck aside, and begin to believe that we are the ones who create and have a strong hand in bringing into existence positive outcomes. Here are FOUR practical tips you need to follow to create your perfect partner. Step Number One: Ask yourself how the two of you will spend time together. Can you imagine the two of you enjoying recreational activities together? If you’re not a fan of the outdoors, do you see the two of you have a quiet weekend relaxing, reading, talking or being quiet in one anther’s presence? What projects can you see yourselves working on together, such as cleaning the garage, or cooking dinner once a month for your friends? Step Number Two: Start visioning now! Remember, we think, vision and speak our intention. This is the way people create. Spend 5-10 minutes daily imagining the essence of your once perfect love match. When you are sitting in traffic, start to vision. When you start to feel sad or depressed, again, start visioning. The only tools you need involves your willingness to be a change agent and your belief (faith) that you will make and bring about change to your present circumstances. When you are ready to accept this responsibility, “miracles” can occur. Step Number Three: Ask yourself what are general characteristics or qualities that trigger you. For instance, on your “Required” list, it may be paramount to end up with someone who is care-taking, kind, and supports your goals. Once you have those things which are essential, it’s time to work on the “Would be nice” list. This list would contain items such as “fantastic cook,” “great dancer” or “gives comforting massages.” Here you will begin the vision and put into words the type of partner you really want. Step Number Four: Ask yourself what is the essence of this person. You must first figure out what is in your heart and your personal value/belief system. 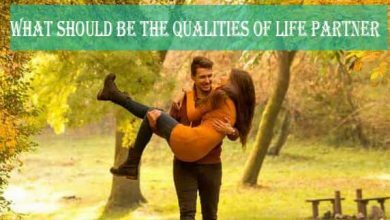 Once you have decided this, determine what your partner’s general take on life would look like. What is his philosophy on life? What is she attracted to professionally or otherwise? Does your love interest have compassion for animals or for the environment? Would either of you need to live near family members? What life goals would your partner have? How would your lives intersect in a complementary fashion? Don’t limit yourself too much. For instance, a man visioning a woman, under the age of 30, from the Midwest, who is no heavier than 130 pounds, with either brown or blonde hair is not engaging in a useful exercise. This strategy truly limits the ability of a soul-mate to enter your life, by leaving little room for the person who is your best match. People are complex, mostly unpredictable and don’t fit into boxes. You don’t want to be pigeonholed and categorized, so why should you pigeonhole your partner? Avoid being too specific, shallow, and again, concentrate on the essence of what you desire.